Nowhere in sports does star power exude more sparkle than in the NBA, which found a formula for marketing individual excellence a generation ago and has ridden it to global success. Basketball's small collection of most celebrated deities sell tickets, boost ratings, alter franchises and are rewarded with extraordinary wealth and fame. But they're not magicians, and losing a front-line standout, to injury for a day or a week, is far less catastrophic to the balance of the win column than you might think. With Harden, whose ongoing scoring exploits put him in the rarefied company of Wilt Chamberlain,Without him, they beat a team that is in the midst of a dynasty and was at full strength. Go figure. "(Golden State) might have not seen Harden and gone 'Oh,' " Rockets head coach Mike D'Antoni said. "Sometimes you have a letdown." There are great philosophical divides about whether New Orleans should sit Davis for the remainder of the season after his trade request came to nothing. But everyone was in agreement with this — if Davis sat, the team would get worse. Yes and no. When Davis was out amid the fuss of a possible Lakers trade, the Pelicans went 2-6. Since then, however, they seem to have figured it out, winning twice since Feb. 6 without him. 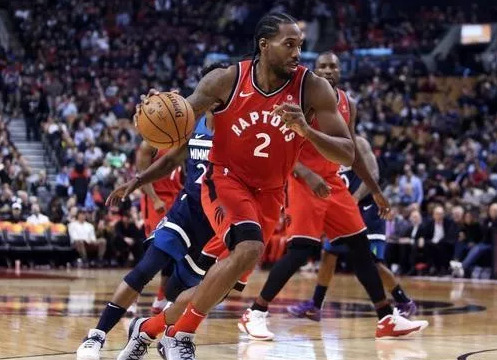 In Toronto, Kawhi Leonard is given much of the credit for the Raptors' outstanding season, but similarly, don't be fooled into thinking they can't play when he's gone. In the absence of Leonard, Toronto was 13-3 until an untimely defeat to the Orlando Magic on Saturday. In Indiana, Victor Oladipo's season-ending January injury looked to be season-ending for the Pacers too, such was the dynamic guard's influence in a run of form that earned him an All-Star selection. It looked even more like it when the Pacers dropped their next four straight. But they have adapted — and the results since? Eight wins from nine, while solidifying third spot in the Eastern Conference. This arcticle is not an attempt to suggest that teams should start ditching their stars and pinching pennies in the expectation that it won't make any difference. More than anything the recent results are just a timely reminder that it is a team game, and while star power is one factor in helping a team become successful, it is not the only thing. Sometimes it is about matchups. The Warriors were actually not the worst opponent for Houston to be without Harden for one game, as it gave Chris Paul the freedom to move and work and torment Stephen Curry's limited defense. Well, despite how much we have become conditioned to think otherwise, basketball is still a game comprised of five important players per side. Having great, transcendent, influential players matters, but it is not the only thing.